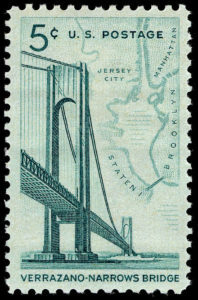 The Verrazano-Narrows Bridge: A colossal expanse linking Brooklyn and Staten Island, once the longest suspension bridge in the world and a proud symbol of New York City’s history and urban geography. Now a bill is making its way through the New York State legislature seeks to add back that truant “z”. Read more about it in this New York Times article. What do you think – one “z” or two “z”?